Tired of the short sale and foreclosure nightmares? 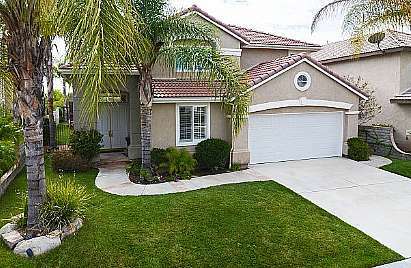 Then take a look at this updated and upgraded Stevenson Ranch pool home on a fantastic cul-de-sac! 4 bedrooms up and a large office downstairs with attached bathroom. Upgrades include rich wood flooring in living and family room, tile in entry and kitchen area, and new plush carpet upstairs. Crown moulding, door/window casing, and baseboards throughout. New lighting fixtures, wrought iron staircase, ceiling fans throughout, new stainless appliances, new master bath tile and trim, the list goes on and on. Located on a quiet cul-de-sac with great freeway access, amazing schools, and shopping just down the street! The backyard features a sparkling pool and terrific children's play structure. View photos and virtual tours, then come see for yourself. You can move in within 30 days!